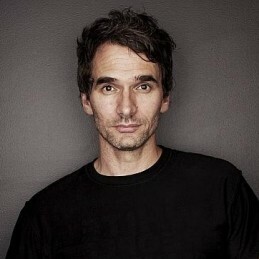 Todd Sampson grew up in modest circumstances. His father was a factory worker for Coca-Cola and his mother a checkout girl for KFC. While neither of them had any formal education, Todd entered university on full scholarship and eventually went on to complete an MBA by age 24. Todd is the national CEO of Leo Burnett Australia, one of the world’s leading communication companies – they were recently ranked as the 7th most creative company in the world. He is also the co-creator of the Earth Hour initiative – one of the largest environmental movements in history – reaching over 1.4 billion people in over 5500 cities. The Financial Review and News Limited ranked him as one of the most influential executives in Australia. He has won CEO of the Year twice and was recently appointed to the board of Fairfax – a 2.5 billion dollar multi-media company in Australasia. Todd is also the breakout star and co-host of the hit ABC show The Gruen Planet. This unique show is one of the most watched programs on Australian TV – winning multiple international awards including the prestigious Rose d’Or Award for entertainment. He is also a regular host on the popular Channel 10 news show The Project. Todd recently handed his brain over to science to become Host and ‘human lab rat’ in a groundbreaking science documentary series called Redesign (Hack) My Brain. It was one of the most watched Australian science documentaries of all time and won Documentary of the Year. It is now being shown around the world on the Discovery Channel. Todd is un-doubtedly one of Australia’s freshest and most interesting TV personalities with the ability to combine intelligent insight with humility. One reviewer colourfully captured his unique ‘science-adventurer’ style; “If Bear Grylls had a love child with Brian Cox, it would be Todd Sampson”. He has also climbed to the top of Mount Everest, unguided.